Art Saaf, a comic book artist well-regarded both for his efforts during the first twenty years of the North American comic book industry and then again in the 1970s, passed away on Saturday due to complications from Parkinson's disease. He was 86 years old. Saaf was born in Brooklyn. A comics fan and self-taught artist, he first started working in 1938 a few years before completing his formal art training in the early 1940s, putting him in comics at the birth of the form. 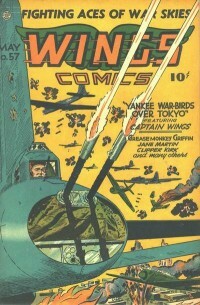 He worked on a number of titles during World War II, and ghosted artwork for established artists. Among the characters with which Saaf found success during this period were Fiction House's Flint Baker, Clipper Kirk, and the iconic "jungle girl" Sheena. Despite being able to retain plenty of clients by transitioning to romance comics in the early 1950s, Saaf became from 1954 to 1968 a successful commercial illustrator both as a staff member at the Kudner Agency and then as a freelancer. He apparently kept his hand in on comics work, both with spot assignments assisting various friends and perhaps even the occasional freelance job. He started to work more openly and vigorously for companies like DC Comics starting around 1968, with assignments running the gamut from romance books (Young Love) to superhero comics (Supergirl). Mark Evanier notes that in recent years Saaf had been unable to recall the details of his own career, and his son Steve Saaf was collecting this knowledge on his behalf, much of which finds expression on this site.